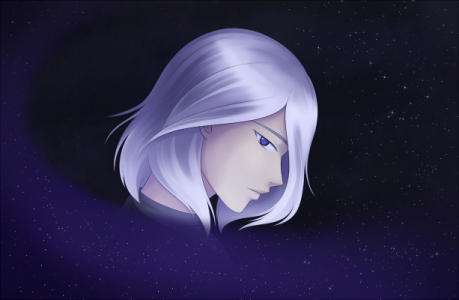 A mysterious person born from the stars. 17" wide by 11" high. A man with eyes that sparkle like the night sky. He carries with him a piece of a distant galaxy, a place that he once called "home."